Any Saskatoon, Regina, or Swift Current driver who picks up a new or pre-owned vehicle from Knight Ford will be thrilled to hear about our Lifetime Engine Warranty. It’s a deal that you just won’t receive from other dealerships, and it stands as a testament to how much trust you can place in our line-up. We’ll have you running well from the word go, then make sure you receive the attention and regularly scheduled maintenance that you deserve. Receive regular maintenance services from Knight Ford, including oil changes every 5,000 km and tire rotations every 10,000 km. 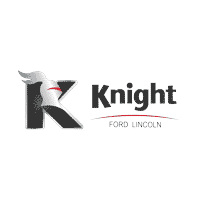 Here at Knight Ford, we’re ready and waiting to keep your vehicle running in peak condition, and our Lifetime Engine Warranty lets you save on the potential costs of a nasty breakdown. To find out more or schedule a service appointment, just contact one of our team members today.